It will soon roll out Android Nougat software update for its most popular smartphone — Redmi Note 4. Flipkart via a poster confirmed the coming of Nougat update. Interestingly, Xiaomi recently announced a list of phones that qualify to get Android Nougat update, and Redmi Note 4 was nowhere to be seen in the list. But, India Today Tech confirmed that Nougat update will be rolled out to the Redmi Note 4 soon, and that’s exactly what is happening now. 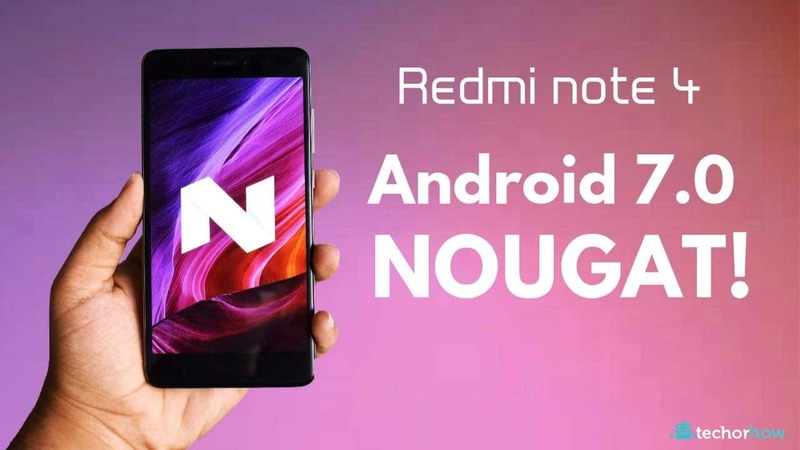 In our report we had confirmed and said that the Xiaomi Redmi Note 4 India version – the same phone that is currently on Android 7.0 Nougat Preview – will get Android Nougat (based MIUI) soon. The same cannot be said about the Redmi Note 4 China version. The Flipkart banner now confirms out report as it mentions – “Android Nougat update coming soon on your Redmi Note 4.” The Redmi Note 4 currently runs on MIUI 8 based on Android 6.0 Marshmallow. Read More – Xiaomi Redmi Note 4 Vs Honor 6X: Which One is Better? The smartphone will go on sale on Flipkart today. All three variants of the phone — 2GB RAM/32GB storage, 3GB RAM/32GB storage variant and 4GB RAM/64GB storage will be available for purchase. Redmi Note 4 is powered by a Snapdragon 625 SoC, 4100mAh battery and sports a 5.5-inch full-HD display. On the camera front, the Xiaomi Redmi Note 4 sports a 13-megapixel camera on the rear, while features a 5-megapixel sensor as the selfie snapper.